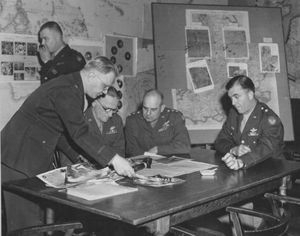 The official web site for the 1st Air Division Headquarters Heritage Society. This website has been set up as part of the society's efforts to honor and preserve the history of the group of extraordinary men and women of the headquarters and the part they played protecting the freedom we enjoy today. 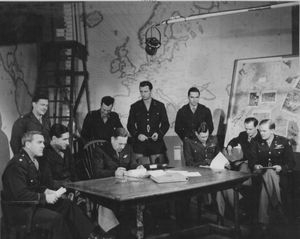 We aim to preserve the history and legacy of the USAAF 1st Bombardment Division, later retitled the 1st Air Division, and its Divisional Headquarters during World War Two, stationed first at RAF Brampton Grange 1942-1945 (AAF Station 103) then moving to RAF Alconbury (AAF Station 102) in late 1945.